At Integrated Fitness Solution, we believe in combining physical fitness with good nutrition, and a healthy lifestyle to improve your mind and body. Our certified personal trainers will design an individual exercise program combining core balance and strength, to help you reach your personal goals. We will instruct you to maximize the benefits from each and every workout to keep you toned, and improve your overall health and appearance. 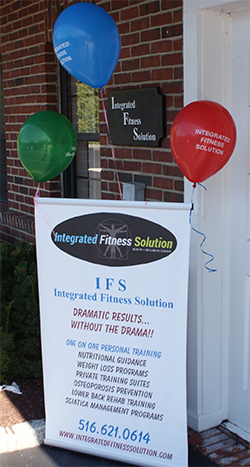 At IFS, we are passionate about your fitness. We want you to experience all the benefits an active healthy lifestyle can bring.